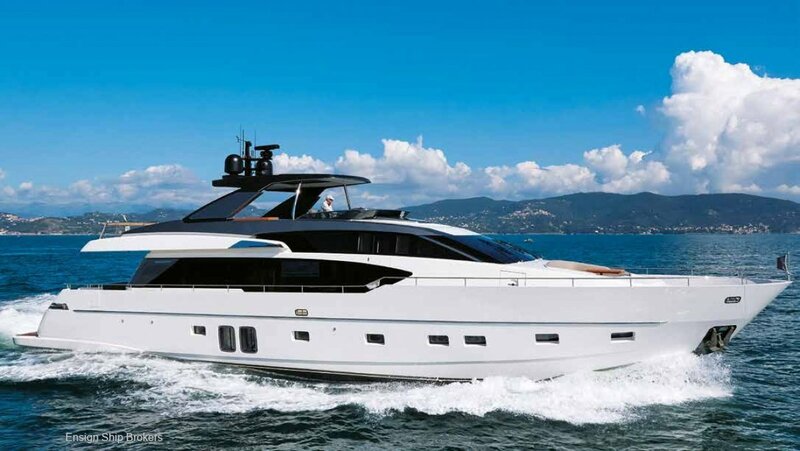 Proudly presented by Sanlorenzo Australia the 2016 SL86-650, four cabin plus crew, zero speed stabilised, electric opening hard top, hydraulic swim platform, low engine and genset hours. 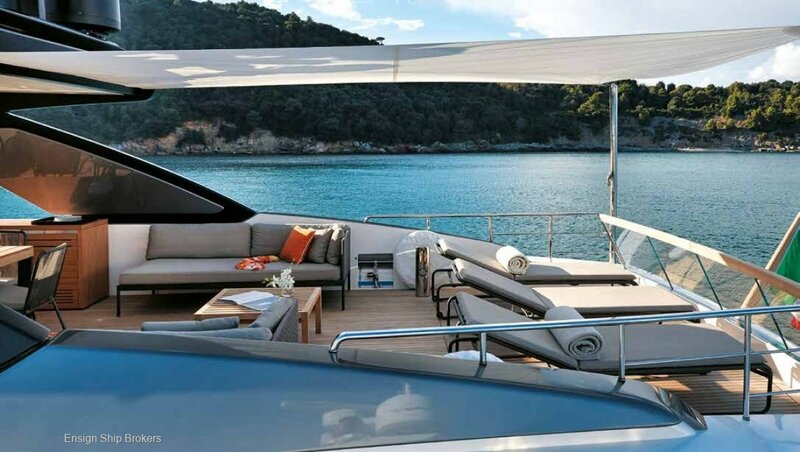 The iconic SL86 is truly a striking vessel. 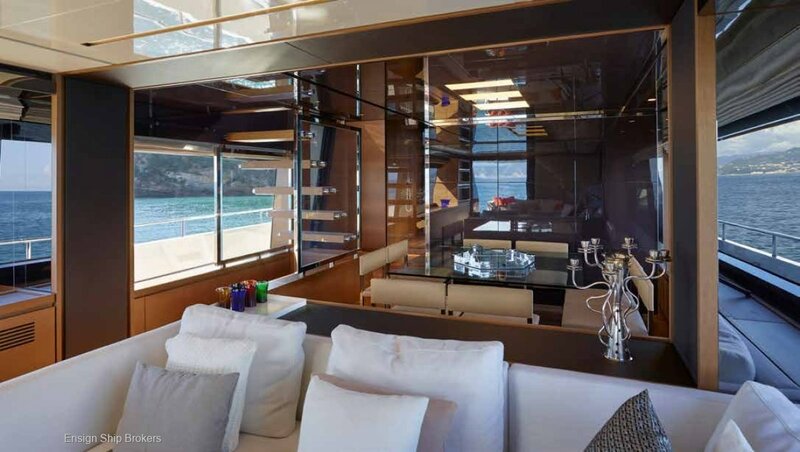 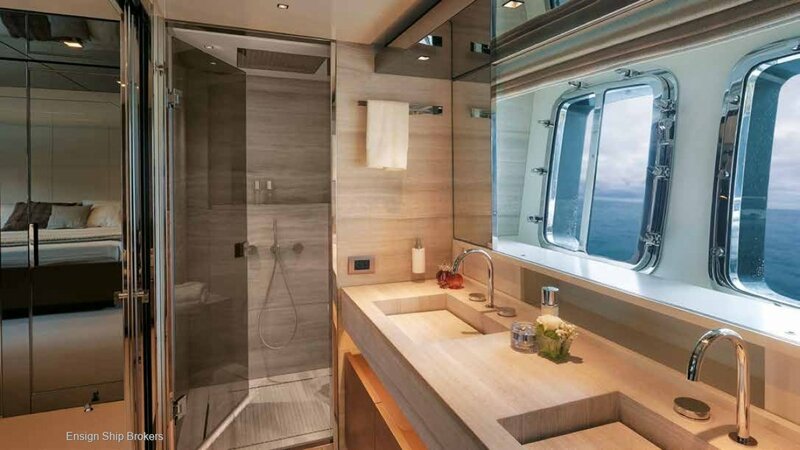 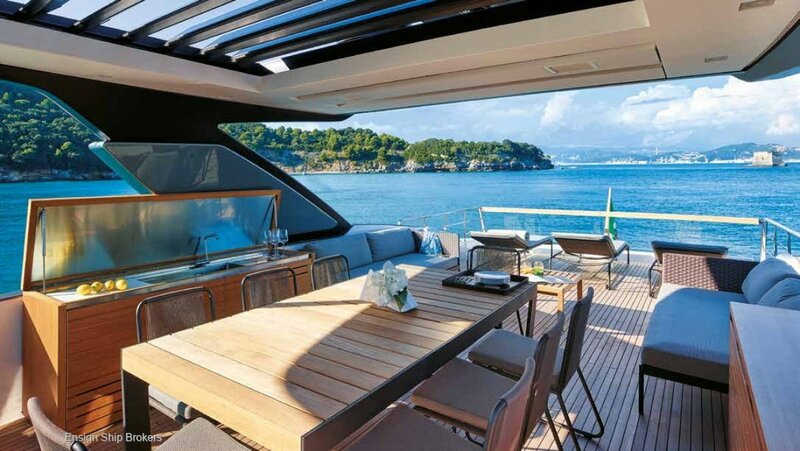 Enlarged windows in the hull and superstructure enrich interior areas with natural light. 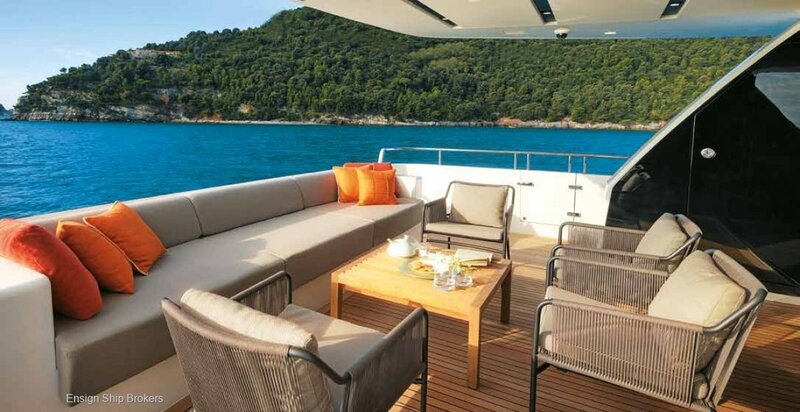 The exterior features a living area at the bow, with sofas, table, sunbathing cushions and adjustable sun awning, the expansive flybridge is just as well appointed providing another area perfect for entertaining. 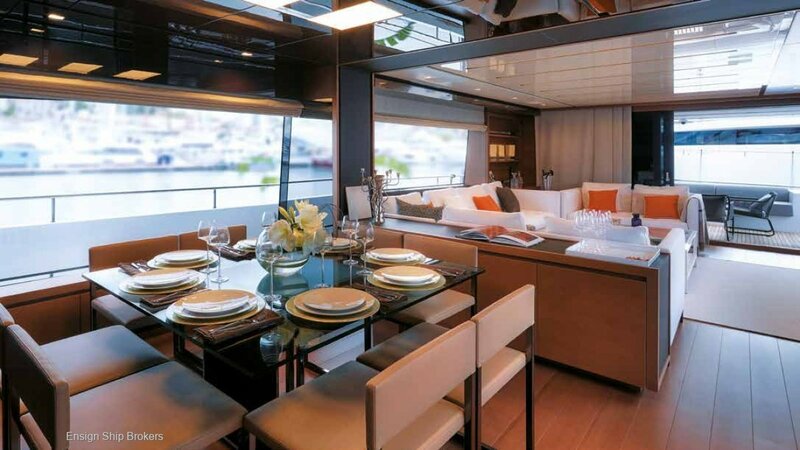 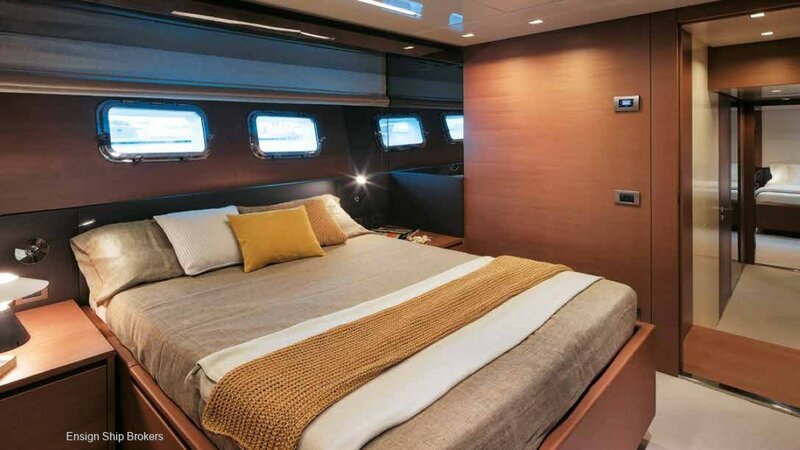 This model has a classic layout with a contemporary style galley on the main deck, and the master, VIP and two twin staterooms on the lower deck. 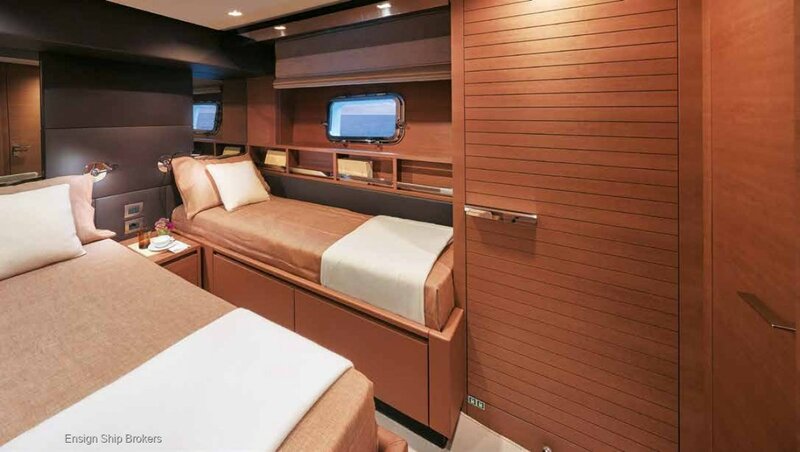 Crew quarters are located forward. 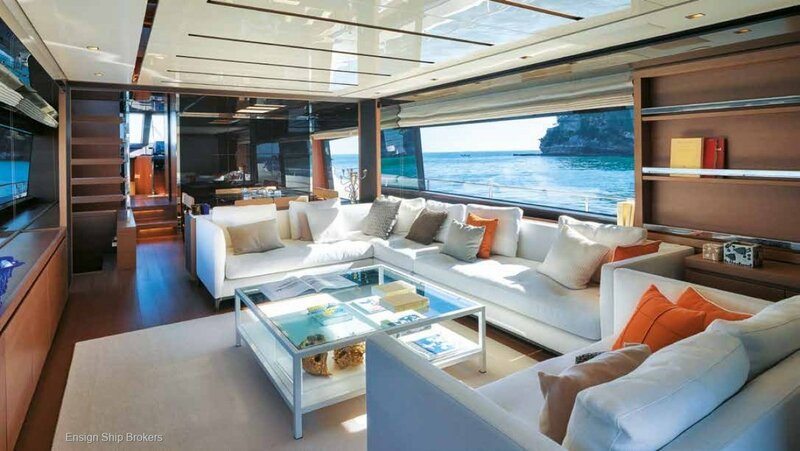 For a full specification, brochure, options list and delivery availability on SL86-650 contact Sanlorenzo Australia. 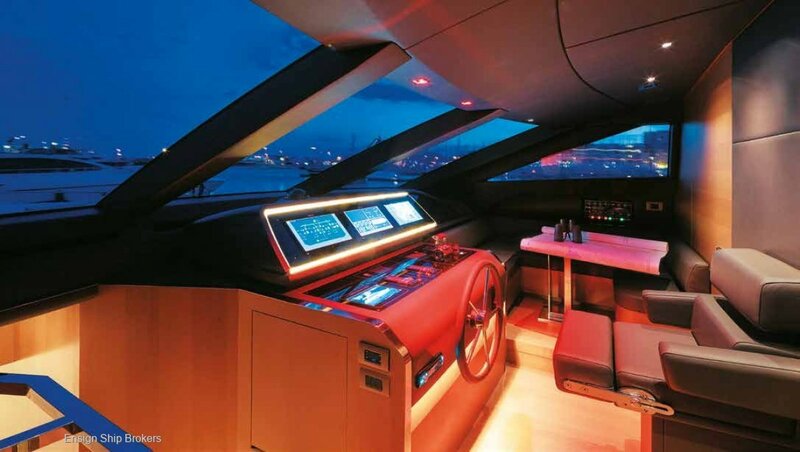 Azimut Sunseeker Ferretti Horizon Princess Benetti.